Is Lease2Buy right for you? Yes! 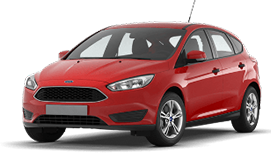 Lease2Buy operated by Easycar Finance UK, has supplied quality cars & vans to over 10,000 customers over the last 10 years. We can provide the best used car finance deals. We’re a company with a strong focus on customer satisfaction. Our success is purely down to our ethical lending policy and knowing our customer needs. We deal with Prime & Non-Prime applications with rates from just 4.9% Flat Rate. If you’ve been on the search for Bad Credit Car Finance – relax, we can help. Apply today and you could be driving away in 24 hours! Just took delivery of my new Mini Countryman and I am delighted with it ! I had a deal over 18 months with an option to purchase or renew at the end. I found the staff quite strait forward, although it did take a couple of days longer to complete than I had hoped. The big difference I would say is that you are dealing direct and they make their own decisions. I would definitely recommend this company. Couldn’t really ask for better service. We are committed to find you a vehicle that meets your needs and matches your budget. From our large range online or any reputable car or van dealer. It only takes a minute to complete a bad credit car finance application. We guarantee you quick decisions and your information is safe. Lease2Buy is a trading style of Easycar Finance UK, Dorniebank House, Newlands Road, Jackton, South Lanarkshire, G75 8RS. Easycar Finance UK is authorised and regulated by the Financial Conduct Authority, FCA FRN number: 827568. ADR and EU online dispute resolution platform available here for all our customers. Van and car leasing company offering commercial van leasing, cheap van and car lease deals and lease to buy vans and cars. Easycar Finance UK do not currently list your credit file with any credit agencies.